Remember the little girl in the film Aliens? She warns Sigourney Weaver that “they mostly come out at night… mostly.”. If you haven’t realised by now, I am, of course, referring to spiders. While waiting patiently for my wife to finish in the bathroom, I saw it. 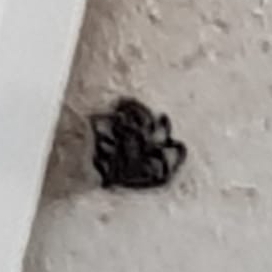 A big, black, hairy spider crawl out from under the toilet rolls. I shouted. Claire screamed. I cowered. Claire heroically caught the creature in a plastic cup and threw it out of the window. Don’t worry – only the spider was chucked out. The plastic cup was not. I’ve seen Blue Planet 2 and don’t want to get into trouble with David Attenborough, for killing a dolphin. That spider had no business terrorising us. While I hate the things, I have reluctantly learnt to accept that they probably serve a purpose in the eco-system, besides scaring wimps like me. If nursery rhymes about carnivorous old women have taught us nothing, it’s that spiders catch flies. So without them, we would be overrun with blue bottles and worse still, Jeff Goldblum (kids – this is a 1980s movie reference). To continue doing their job, they need to breed. I know all about the bird and the bees. Pretty ironic, considering the old woman in the rhyme, swallowed a bird to catch a spider. While I therefore allow spiders to exist during their mating season, I find it totally unacceptable that they should live, and especially fornicate, outside of their allotted time. Where the hell am I going with this blog? What the fudge am I even writing about? This spider may well have been hibernating before today. It certainly looked colder and slower, as it ran towards my wife on the toilet. We have an excellent cleaner, who visits our house every Tuesday for a couple of hours, to make our home look nice. What if the spider had been hibernating behind my bedside cabinet? My BEDSIDE cabinet? This means that I could have been sleeping next to the beast for ages! To think, my Mum, Dad, and in recent years, Claire, told me that there are no monsters living under my bed. This was pretty damn close! Claire took a deserved break from her household and nursing duties, to spend an hour at a friend’s house. I suspected she had returned when I heard the front door open. I knew she had returned when I heard her let out a terrifying scream. Considering that I hadn’t attempted to cook cheese on toast in her absence, and thus destroying the kitchen, Claire’s blood-curdling shriek must have meant one thing… a spider. Now, when somebody responds with the word “BIG”, it isn’t always a bad thing – it all depends upon the question posed. For example, “What is your favourite Tom Hanks movie?” or “Which gangster rapper is believed to be ‘Notorious’?”. To answer “BIG” to either of those questions could, in no way, be considered a negative. Unless you’re a die hard fan of Forrest Gump. To answer “BIG” to any question regarding a spider is bad. You could even say it is a big, big worry for me! I started to scream. This lead Claire to start screaming again. Roman looked terrified. I don’t think he is frightened of spiders (at least he wasn’t before yesterday). Judging by his owners’ terror, Roman must have thought a man and rabbit-eating monster had broken into the house. Claire ran to the kitchen to get something, which could be used to catch the spider. She returned with one of the largest utensils possible (although anything less would have been too small), a Sports Direct Mug. Whatever poor sod sent us this mug in the post may have only been on a zero-hour contract and had not gone to the toilet for days, but by supplying us with a grossly oversized teacup, had immensely helped Claire, Roman and I in our moment of plight. Claire is normally very brave and quick at catching spiders. Since moving in with me, 5 years ago, she has been forced to deal with the beasties. However, in this instance the creature from the black lagoon was both too large and too fast, even for Claire, with all her expertise. The only way in which the mug was going to be of any use, was if Claire either threw it at the spider, or made me an Irish coffee in it, to calm my nerves. Claire had to resort to something we are not proud of (apart from Roman, who was all for the idea)… she had to kill it with bug spray. We both hate killing things, even spiders, but sometimes you have no choice. Before all the vegans start posting hate on my blog, let me ask you “would you kill a sewer rat if it was living in your kitchen?” Most people would. And isn’t “all life equal”? Case closed. 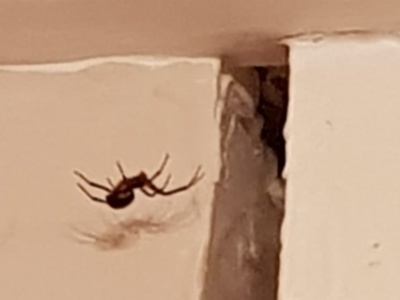 After getting sprayed, the spider ran to hide under my stairlift. Once sedated, Claire caught it in the massive mug (thanks, Mike Ashley) and released it outside. 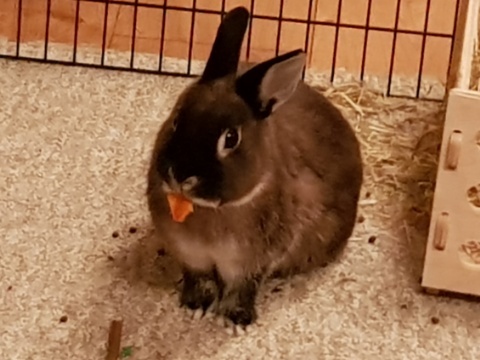 In all the excitement, Roman had kicked poop from his litter tray everywhere. If Claire thought that dirty protest was bad, she was yet to see my underwear! They say that there are some disturbing things on the internet – men messing with dogs, extreme violence, Katie Hopkins… the list goes on. So far, I have managed to avoid these horrors from the Dark Web – until today, when I witnessed a truly horrifying video on Twitter. After viewing the upsetting material, I did what any sensible adult would do. I uploaded it to YouTube, so it would gain an even larger audience. So, because of yesterday’s scary spider discovery, I took drastic action. Before bed, I sprayed bug killer in the area that the dead body and legs were found. This was more of a preventative method, than anything else – a deterrent for any other spider, thinking of moving in. I know some of you will still find this hypocritical, after my recent veggie revelation, but I was spraying a can of Raid – it wasn’t like I had shot Cecil the Lion’s mother. 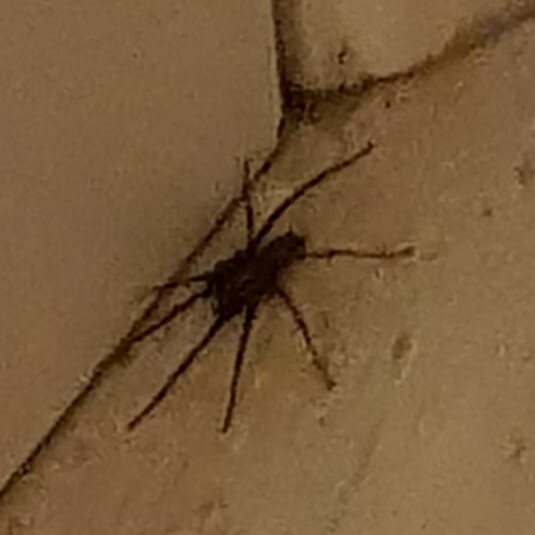 After much shouting, screaming, and me trying to escape upstairs, leaving Claire to face the horror alone; my brave wife got out her trusty Dyson again, and sucked up the dead arachnid. That Dyson is fast becoming as useful as those guns used to capture ghosts on Ghostbusters. 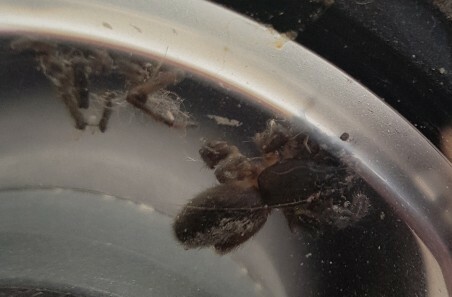 Just look how it contained the beast (and tore its legs off). The whole ordeal left Claire and I shaken. We then discovered that Roman was equally as scared – my girly shrieks must have startled him. Either that, or he suffers from arachnophobia too!